Some days you just aren’t going to win. I very recently had a day such as that. It began with fighting (and perhaps a little bit of crying) on the phone with my insurance company. Now I know that I am not special on that account. We’ve all done it because insurance companies can be evil. I finally got everything straightened out, hung up the phone and was out the door. Since I was in a hurry I didn’t connect my MP3 player to the stereo in my car as I usually do and planned on just listening to whatever piped out of the radio. I was in the process of backing up when the CD player got going and a song incredibly nasty and so, so foul came on. I’m pretty sure the volume was set at “speaker busting”. Upon returning home I noticed a package at my doorstep. Confused because I hadn’t ordered anything for myself I went and opened the box. Only to find that it was my grandmother’s medicine that I ordered for her online and accidentally shipped to myself. *sigh* Really? I go inside to package it up to send to her and realize that I am out of bubble envelopes. Since going to town takes me about an hour both ways I decided to just make my own. After all, I have tons of scrapbooking paper and a roll of bubble wrap, how hard can it be? Good news is making these envelopes turned out to be the easiest thing during my whole day! Bad news is, it would have cost more to ship to her than to repurchase and have sent to the correct address, but oh, well! Decide what size your envelope should be. 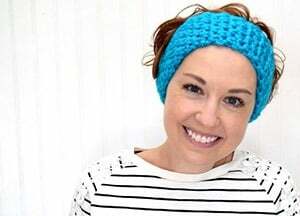 Add 1 inch to those dimensions in width and 2 inches in height (to accommodate a flap). Since I was making a smaller envelope on this pass, I was able to use one 12×12 piece of scrapbooking paper. What a bargain! I measured and marked the width and height of my envelope and then made a line approximately one inch below the mark the top of my envelope. We need one piece to be larger than the other for the flap. See above to get a visual. Cut as necessary with your paper cutter or scissors. 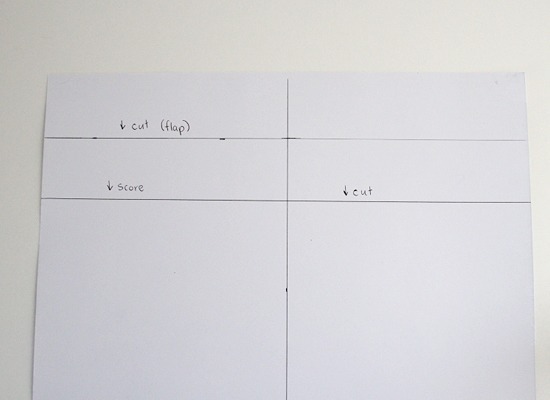 Note that the paper cutter will give you much sharper and cleaner lines. Go around the entire edge of your smaller piece and mark half an inch. Measure the space inside of the lines and cut out a piece of bubble wrap to match. On the paper with the flap, measure half an inch from the line you marked to score and continue as you did with the first side. t always be necessary. 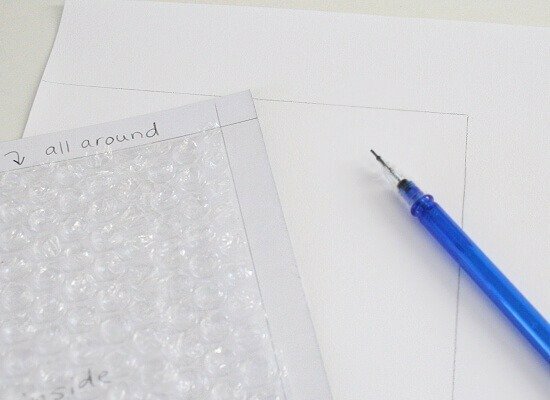 If you adhere the bumpy side of the bubble wrap to the paper, you’ll have the smooth side facing inward making it easier to insert stuff into the envelope without it hitching up. Now since I marked this one all up to show what I was doing for the DIY, I decided to line it with another piece of paper. This step is optional. 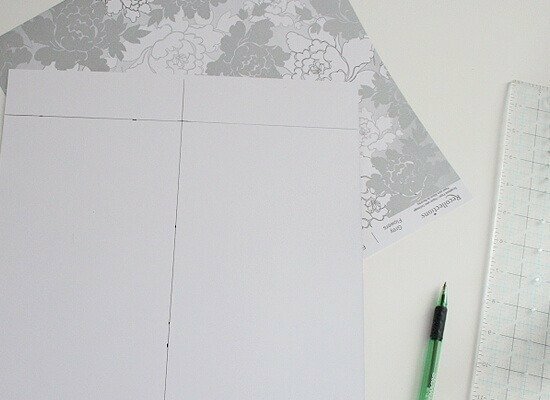 Take your envelope sides and mark on your paper that you will be using as a liner. Trace around the edge and trim to fit. 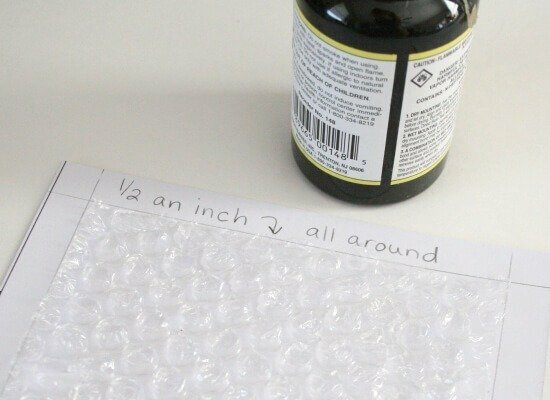 Spread a nice coat of rubber cement all the way to the edge of the paper and overlapping your bubble wrap by about a quarter of an inch. Cover the backside of your lining paper about three quarters of an inch in around on all sides. Set both to the side and allow to dry fully. When the glue is fully dry, press both pieces of paper together. This method of using rubber cement is called dry mounting and there is practically no room for error. Once the glued pieces connect, they really connect. So take your time when aligning the sheets. Take your rubber cement and spread a line around three edges – do NOT cover the top edge by the flap. 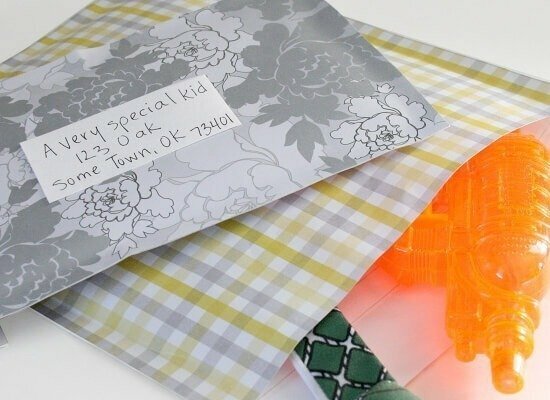 Remember that you will need an opening to insert your goodies into the envelope. Allow both sides to dry fully and then carefully line up and press together to adhere. 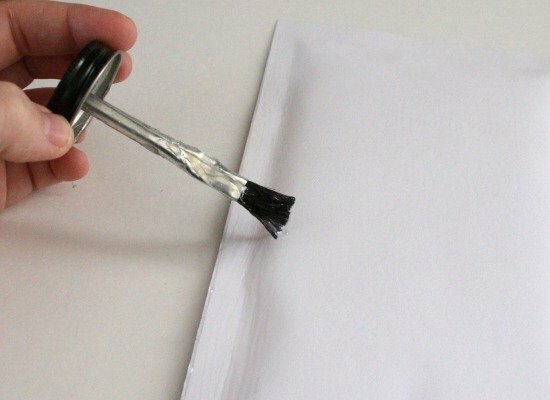 Take the end of a pen or something similar and rub along the outside of the envelope to make a nice, sharp seam and ensure that your envelope is as stuck together as it is going to be. Take and place rubber cement on the inside of your flap and on the outside (pretty side) of the other side and allow to dry fully. 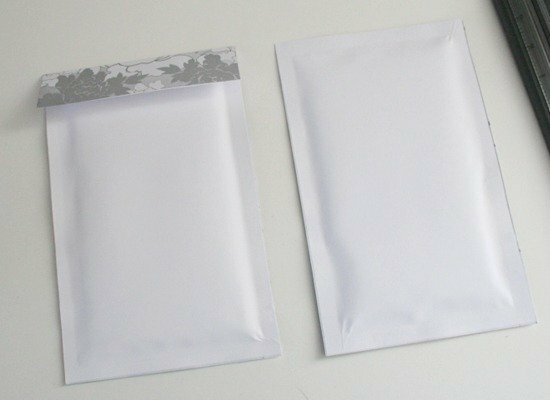 When it is time to use, your envelopes will be self sealing! If making several, be sure to keep the seals from touching one another when storing. So what do you think? 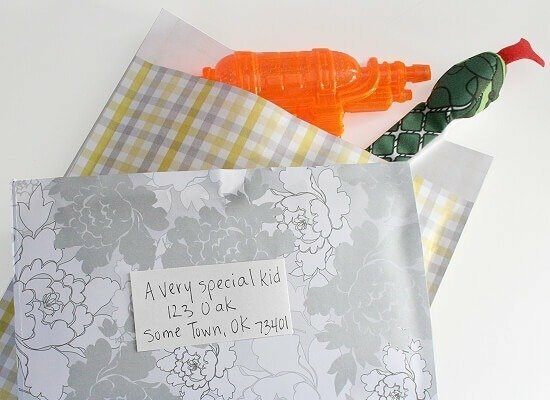 Will you be making your own cute envelopes? Hope your weekend plans are fantastic! Very nice blog and hope the day after the crap day was extra nice for you! This is brilliant! What a fabulous tutorial too! What a sweat idea, I love everything made of paper! I linked this on my blog: http://nocreationwithoutchaos.wordpress.com/. Thanks for the link up, Sabine! Can I ask why rubber cement and not other glue? Would elmers work?